Prof. J. L. McCraken (1914-2008) specialised in eighteenth century Ireland, and nineteenth century South Africa. Prof J. L. McCraken was born in Co. Down Ireland in 1914. After graduating in History from Queen’s University in 1936, he then went on to teach History in Wallace High School as well as serving as their vice principle until 1945. He then moved to Witswatersrand University to become a lecturer in History. While at Witswatersrand he completed his PhD from Queens university. Prof. J.L. McCracken worked as a researcher in Dublin and took a senior lectureship at Magee University for many years before becoming a Professor at University of Ulster and retired to South Africa in 1979. 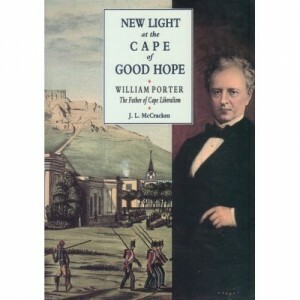 In 1993 he published New Light At The Cape Of Good Hope: William Porter, The Father Of Cape Liberalism.